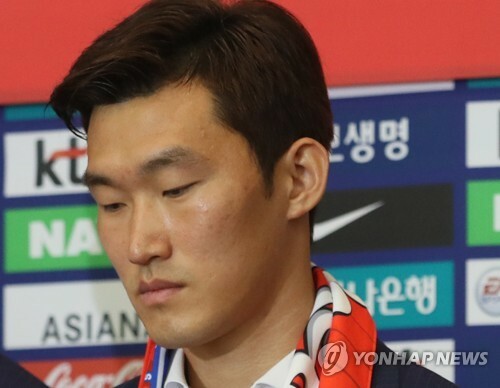 SEOUL, Nov. 1 (Yonhap) — South Korean football player Jang Hyun-soo’s decorated international career has come to an end after he was slapped with a life-time ban from the national team on Thursday. 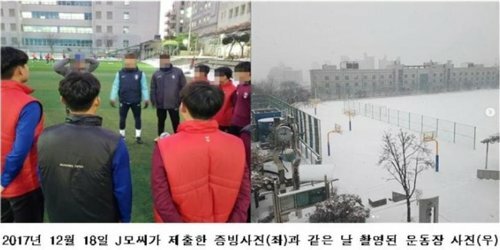 Able-bodied South Korean men are required to serve in the military for about two years. But Jang is exempt from serving the full mandatory service after he earned a gold medal at the 2014 Asian Games. By law, all Olympic medal winners and Asian Games gold medalists are entitled to exemption in recognition of their contribution to the country’s reputation and prestige. With the KFA’s latest decision, Jang’s national team career will end with three goals in 58 caps. Jang’s senior national team career started to take off from 2015. He first helped South Korea to a runner-up finish at the Asian Football Confederation (AFC) Asian Cup and then led the Taeguk Warriors to victory in the EAFF East Asian Cup title. The versatile defender, who can play as center back, right back and defensive midfielder, was named the MVP of the regional tournament. Jang then represented South Korea at the 2016 Rio de Janeiro Olympics as one of the team’s three overage players, better known as wild cards. With one mistake after another, he became a scapegoat for the team’s woes at the World Cup in Russia. Some angry fans even filed an online petition to the presidential office, calling on national team officials to axe Jang from the squad. But even after the World Cup, Jang remained the national team’s core defender. Jang was the starting center back under new head coach Paulo Bento and has played in all four friendly matches so far. Bento described Jang as a player whose quality is above average. And Jang was one of the core players in Bento’s team that emphasized a build-up from the back.